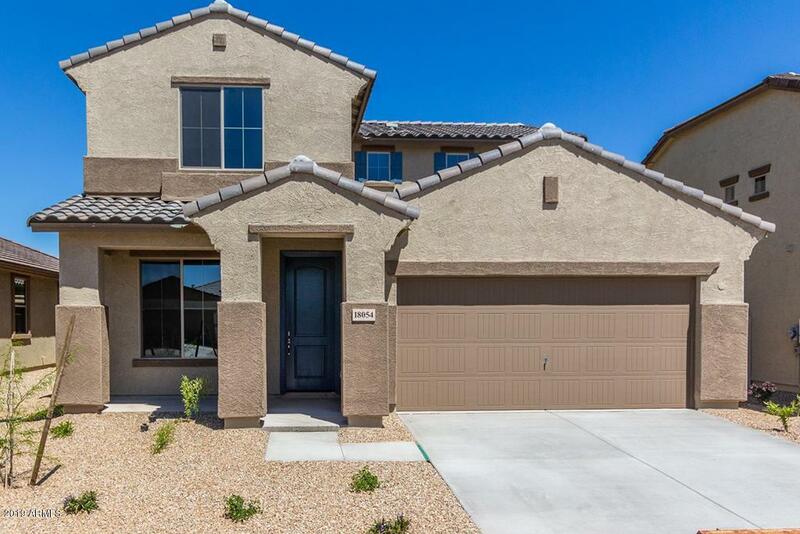 Incredible newly built home in the community of North Copper Canyon in Surprise! This home has many features including a nicely upgraded kitchen with New Caledonia granite, maple cabinets in Charcoal, upgraded tile and carpet throughout, huge master suite downstairs, dual sinks in master bathroom and separate garden tub and walk-in shower, door from master closet to laundry, nice size flex room downstairs, upstairs you will find a large loft that has 3 good sized bedrooms, and a patio to enjoy those great BBQ's! Cross Street Deer Valley Rd. And N. Citrus Rd.